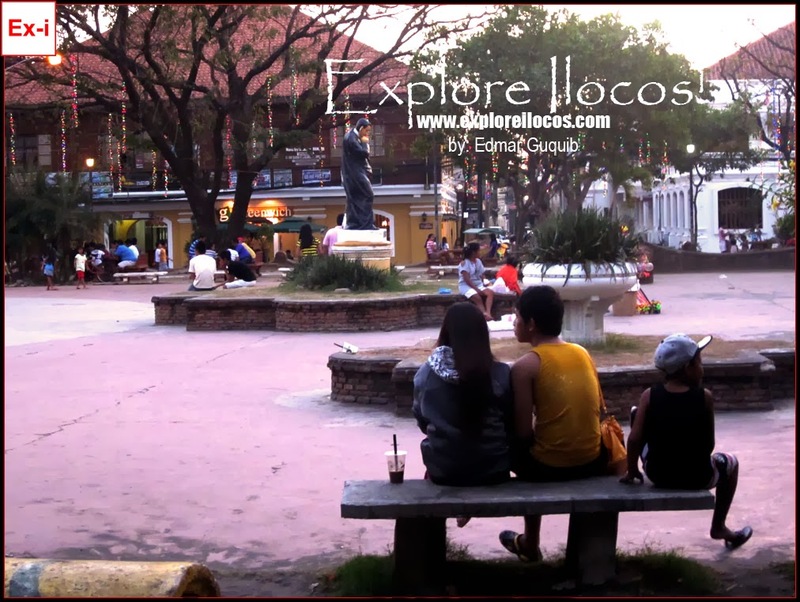 VIGAN CITY ▬ Plaza Burgos is a popular hang-out zone in the city of Vigan during weekend. On a Saturday afternoon, I decided to roam around the plaza to capture some scenes. The streets surrounding Plaza Burgos during weekend are closed for motorized vehicles, as implemented by an ordinance to make the historical laid back plaza pedestrian-friendly and quiet. Plaza Burgos features a basketball court, a stage, the Vigan Empanadaan, the monument of Jose Burgos and a favorite place for skaters. It is also a favorite venue for public events especially during the Vigan City Fiesta. Plaza Burgos is surrounded by fastfood chains, hotels, restaurants, shopping centers and the Vigan Cathedral is situated north of this plaza.